"What is a year, after all?" I rhetorically asked an audience of Washington DC-area breast cancer care coordinators yesterday during a talk about the limitations of screening mammography. "It's 365 days. There is nothing magic about a yearly screening interval." So, too, is there nothing magic about a blog enduring for a year, or in the case of Common Sense Family Doctor, three years. But it is a convenient milestone worth celebrating in this, my three hundred and seventeenth post. To date, this blog has been viewed more than 172,000 times. My most popular post, an indictment of the deceptive advertising practices of Life Line Screening, has been viewed nearly seven thousand times. As a father of three children younger than age 7, I can't help but view the passage of time in child years. A few months after my older son was born, I started working at the Agency for Healthcare Research and Quality. I remember rehearsing my first presentation for the U.S. Preventive Services Task Force (a summary of the evidence on screening for COPD using spirometry) in front of my rapt ten-month old, whom I like to think understood the importance of the occasion. Two months after the birth of my daughter, the USPSTF recommended against screening for prostate cancer in men age 75 and older, which appears to have had a significant effect on clinical practice. (The effect of their new recommendation against PSA screening in all men remains to be seen.) 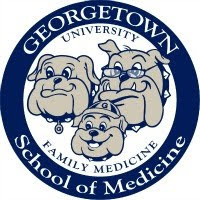 By the time my younger son was born this year, I had long since left AHRQ and was preparing to re-enter the world of academia, where I now direct Georgetown University School of Medicine's Fellowship in Primary Care Health Policy. By the child year standard, then, Common Sense Family Doctor has passed through infancy and toddlerhood, and is now entering what some child-rearing experts call "the wonder years," that amazing period when children achieve a measure of self-sufficiency but remain comfortingly dependent on mom and dad for most of their daily needs. The blog's growth and visibility has been been helped immensely by regular syndication in KevinMD, The Doctor Weighs In, Prepared Patient Forum, and coming soon, Physician's Weekly. It has also given me the opportunity to write for different audiences in Family Health Guide, U.S. News and World Report, and the AFP Community Blog. Many thanks to all of my readers and fellow health bloggers who have provided validation and encouragement along the way. 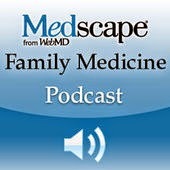 What can readers of Common Sense Family Doctor expect in the future? More reflections on the proper role of primary care and prevention, now that the Affordable Care Act appears to be here to stay (and prominent Republicans Bill Frist and Mike Leavitt are publicly supporting state-based health insurance exchanges, which I discussed in a previous series of posts). I also intend to write about innovative ways to improve population health outside of health care - a tricky topic, to be sure, and fraught with ethical/political questions about the appropriate role of governments in improving the heath of their citizens (such as putting restrictions on the size of soda containers). No, I don't believe that any government should have the power to force you to buy a gym membership or eat broccoli, and I've always been a skeptic about the value of dietary guidelines. But I consistently favor happy mediums over hardened ideological positions, and hope that this blog will become wiser as it ages. Of course, you will ultimately be the judge of that. For those of you who may be unfamiliar with AHRQ and the benefits of the research it supports, below is a Healthcare Headaches blog post I wrote last year for USNews.com. Its message is even more relevant now than it was then. Please call your Congressmen and women, spread the word to friends and colleagues, and help #SaveAHRQ from a fate that would have devastating effects on the future health of our nation. When a new drug goes on the market for, say, diabetes, doctors are typically bombarded by advertising messages that promote it. Patients may see television commercials touting the new drug’s advantages over older ones and advising them to "talk to your doctor" about obtaining a prescription. But since the U.S. Food and Drug Administration only requires drug companies to prove that new drugs work better than placebos (sugar pills), there’s often little or no reliable information about whether a new drug is actually an improvement over existing therapies. How, then, can a doctor like me make good choices about which treatment to give each patient? To provide answers, last year's health reform law devoted billions of dollars over the next decade to "comparative effectiveness" research, or research that directly compares different tests and treatments to determine which are better at improving health in particular groups of patients. Funding for comparative effectiveness studies was recently targeted for budget cuts by politicians who argue that such research may limit patients' treatment choices and lead to the withdrawal of insurance coverage for drugs that are found to be costly or ineffective. In reality, however, that’s not necessarily the case. For example, when the FDA recently concluded that the cancer drug Avastin does not help patients with breast cancer (and often causes serious side effects such as bleeding, heart attacks, and heart failure), officials were quick to assure the public that the Medicare program will continue to pay for it anyway. Also, in a 2009 study published in the Archives of Internal Medicine, Mayo Clinic researchers concluded that a "decision aid" for patients with diabetes based on a previous version of the AHRQ medication guide improved patients' knowledge and involvement in their care. This decision aid consisted of six flash cards containing basic information about the effects of five types of diabetes drugs on weight change, blood sugar levels, side effects, and ease of use (when to take it and how often blood sugar testing is required). In a highly charged political environment, it’s tempting to score points (and scare patients) by falsely equating comparative effectiveness research with “rationing.” But I believe that the valuable information obtained from this research, rather than restricting patients' treatment options, will instead empower them and their doctors to make better decisions about their health care. In a previous post, I summarized the mixed evidence that using electronic health records with clinical decision support systems (CDSSs) improves processes and outcomes of preventive care. Most of the literature supporting a positive effect of EHRs with CDSSs is either anecdotal, observational, or limited to specific settings (namely, practices of employed physicians in large, integrated health systems). I concluded that it remained uncertain if these results could be duplicated in randomized trials in typical private practices. Uncertain, that is, until last week, following a study by Alex Krist and colleagues, "Interactive Preventive Health Record to Enhance Delivery of Recommended Care: A Randomized Trial," in the Annals of Family Medicine. 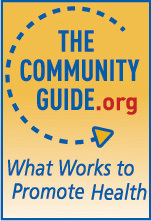 The authors randomized 4500 patients from 8 primary care practices in Virginia to usual care versus an invitation to use MyPreventiveCare, an interactive personal health record (IPHR) that generates a list of screening and counseling recommendations based on guidelines from the U.S. Preventive Services Task Force, as well as links to more detailed explanations of these preventive services and relevant decision aids. When patients used the IPHR, their physicians also received a summary of the recommendations in their EHRs. Although only about 1 in 6 invited patients had actually used the personal health record 16 months later, it was enough to show a statistically significant difference between the proportion of patients in that group who were up-to-date on all recommended services, compared to the control group. After 4 months, colorectal, breast, and cervical cancer screening rates had increased by an impressive 13 to 19 percent among personal health record users. The authors concluded: "Information systems that feature patient-centered functionality, such as the IPHR, have potential to increase preventive service delivery. Engaging more patients to use systems could have important public health benefits." A how-to guide on the use of personal health records to promote uptake of recommended preventive services is available on the Agency for Healthcare Research and Quality website. A modified version of this post first appeared on the AFP Community Blog. In the summer of 2007, then-U.S. Preventive Services Task Force member Russ Harris, MD, MPH approached me about taking on what he suggested would be a fairly quick and straightfoward project: summarizing the small amount of medical literature on the benefits and harms of the prostate-specific antigen (PSA) test that is commonly used to screen asymptomatic men for prostate cancer. Little did I know that this research and its implications would dominate the next five years of my career. There would be some good moments (my published systematic review of the topic was honored as AHRQ's Article of the Year award in 2009) as well as many bad ones (encapsulated in this series of posts that recount the reasons for my subsequent resignation from the Agency in 2010). This year, the USPSTF finally confirmed what had become clear to me and many other scholars of PSA screening: the test's harms outweigh its benefits for the vast majority of men, and therefore it should not be recommended. Although the Medicare program and private insurance plans continue to pay for the PSA test, there is reason to hope that the new recommendation will eventually change medical practice. Despite the backlash that greeted the USPSTF's 2009 recommendation for individualized decision-making regarding mammography for women in their 40s, recent national data has demonstrated a 6 percent decline in screening rates in this age group - modest but notable evidence that more women are making thoughtful screening decisions that reflect their personal values and preferences. Based on the USPSTF's assessment, I now tell older male patients that the harms of the PSA test's downstream consequences are very likely to outweigh any potential health benefits. Some still request the test, but such requests are becoming less common. During the past five years, I have given countless lectures and participated in many public debates about PSA screening. I recently agreed to address the subject once more in October at a panel discussion sponsored by the Department of Health Policy and Management of the Johns Hopkins University Bloomberg School of Public Health (where I am an adjunct instructor). And I have decided that for me, that event will be the end of the line for public speaking about PSA screening, at least until there is more evidence to discuss. It's time for me to move on, personally and professionally. Nonetheless, I hope that others will take up the essential task of communicating the flaws of this test to physicians and the public, so that someday we may reach the end of the line on PSA screening itself. Screening for Osteoporosis: Who, When, and How Often? Marya Zilberberg, MD, MPH is an independent physician health services researcher with a specific interest in healthcare-associated complications and a broad interest in the state of our healthcare system. I recently reviewed her excellent book on evidence-based medicine, Between the Lines. The following post was first published on her blog, Healthcare, etc. This was a big day for President Obama's signature legislation, the Affordable Care Act. The Supreme Court upheld its constitutionality, and the punditdom thinks that further challenges are unlikely. On the other hand, if Romney takes the White House in the next election... Well, you can guess what will happen then. It has been interesting to watch the run-up to this decision. Most recently I have been amused by surveys finding that on the one hand, many American people are in favor of the pre-existing condition inclusion (this part of the bill forbids insurance companies to discriminate against people with prior health conditions), as well as the provision that allows young adults to stay on their parents' insurance policies through a certain age. On the other hand, the majority of Americans are against the healthcare law itself, and most also oppose the individual mandate provision (this is the part where everyone has to buy insurance or pay a tax). Given this imbalance in the public opinion, a more pertinent survey should have assessed how well people understand these provisions in the first place. And this would have had to establish how well the public gets our whole healthcare "system." 1. How accessible is it? 2. Is it of adequate quality? The answer to the first question provides one of the rationales for the individual mandate. Currently there are about 50 million people without health insurance in the US, and, hence, without adequate access to the system. Many of these people are the young and the healthy who gamble on staying young and healthy. And many are consigned to relying on expensive emergency care when this gamble fails. Some of them go bankrupt trying to pay for it, while others become "safety net" cases, where the institution that cares for them swallows the costs. These institutions do get some public dollars for providing safety net care, but not nearly enough to break even. Since many of the 50 million don't buy health insurance because they cannot afford it, the healthcare bill provides a way to create more affordable insurance products. The answer to the second question is not related directly to the individual mandate. Since much of this blog is devoted to the issues of healthcare-associated harm, I do not wish to belabor this point here. Suffice it to say that the bill does try to address this catastrophic situation, though it remains to be seen if it will succeed. The third question is the crux of the story. Many have said that the escalation of healthcare costs is unsustainable, and I subscribe to this notion: I am not sure how much more than $2.6 trillion/year we want to pay for this insatiable beast. Yet judging by the near-revolt that "death panels" rhetoric caused, the citizenry is not interested in being thoughtful about what services make sense. The vehement knee-jerk to the "R" word shuts down the discussion before it even starts. So, OK, how do we pay this ever-increasing bill? Moreover, since we are all happy with the government mandate for all insurance to pay for pre-existing conditions, how do we propose to pay for this additional coverage? Short of printing money (not generally a good idea) or creating a single-party payer system that regulates these expenditures, the only way is to broaden the pool of revenue. The way the ACA has proposed to broaden this pool is through the very individual mandate that is anathema to our American way of life. But without it, there is no broadening of coverage, and there is no paying for every intervention that we seem to feel entitled to. I doubt very much that the ACA will substantively contain healthcare costs. I even doubt that it will solve the quality problems, but I am willing to wait and see on that. This bill is but a band-aid on an arterial bleed. However, I do believe that upholding this legislation allows us to take the first steps toward a reasonable national dialog about the kind of healthcare system we need. This dialog will not be helped by stupid surveys that reinforce our willful ignorance. We have the opportunity to move this conversation to a higher level, where people begin to understand the issues we are up against more deeply. Let's take it.